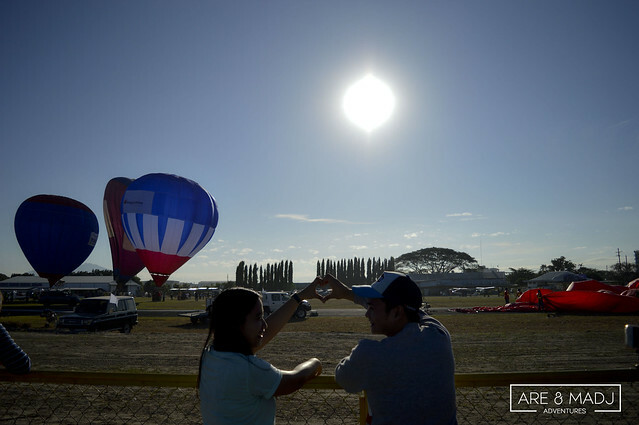 The Philippine International Hot Air Balloon Fiesta just had its 21st annual celebration last February 9 to 12, 2017 and Madj and I were very grateful that we experienced this one-of-a-kind colorful sky fest of hot air balloons in Clark Freeport Zone, Angeles City. 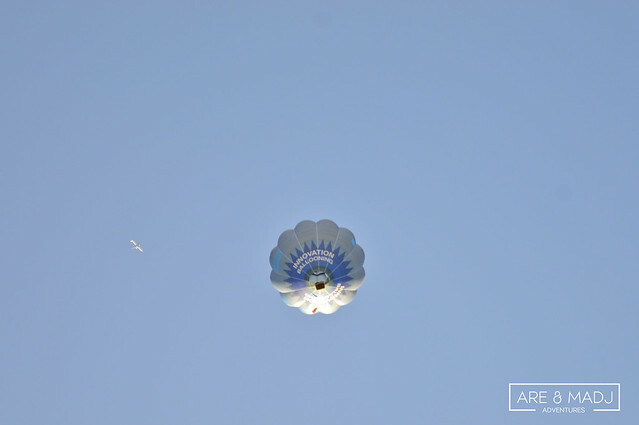 This event has been the longest-running sports aviation event in Asia, gathering aviators and spectators from around the world for four days of non-stop flying action. 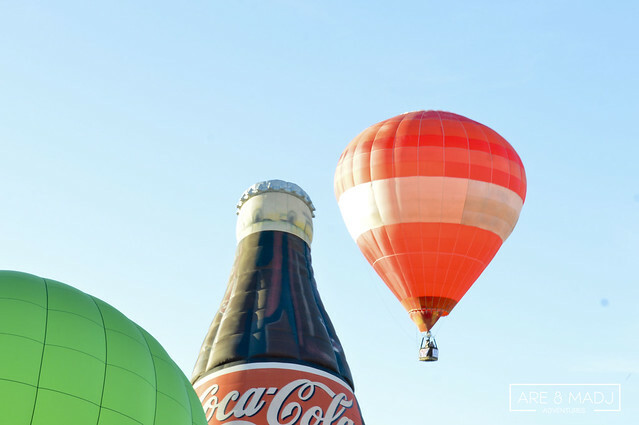 On its 21st year, they showcased 30 colorful balloons from different countries all over the world. Our experience won’t be complete without sharing it with you on our blog. 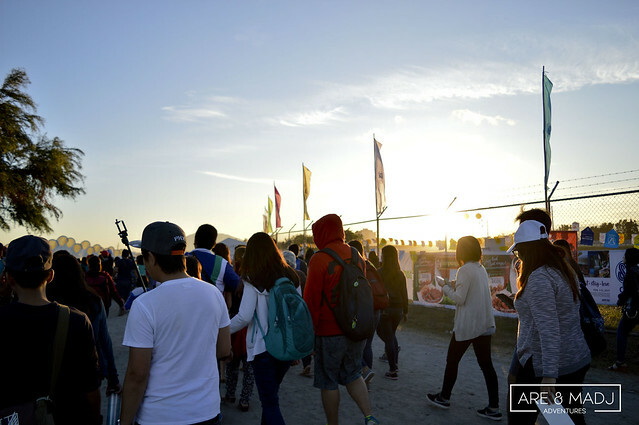 So let me share with you our incredibly fun experience happened on the 21st Philippine International Hot Air Balloon Fiesta. At 3 o’clock in the morning while most of the people were having a good night sleep, Madj, our good friend, Jeff, and I were travelling by bus from Cubao to Dau Terminal. From Dau Terminal, we took jeepney going to Clark Main Gate and another jeep to the venue, Omni Aviation Complex . Then, We walked to the entrance gate. We arrived at the Clark Freeport Zone before the fiesta starts. It’s a good thing that the sun is still giving us a beautiful sunshine. We don’t have tickets yet so we need to go to the entrance gate. We fell in line, waited for our turn and bought our tickets. The ticket lane served fast even though there were lots of people who still want to buy tickets. 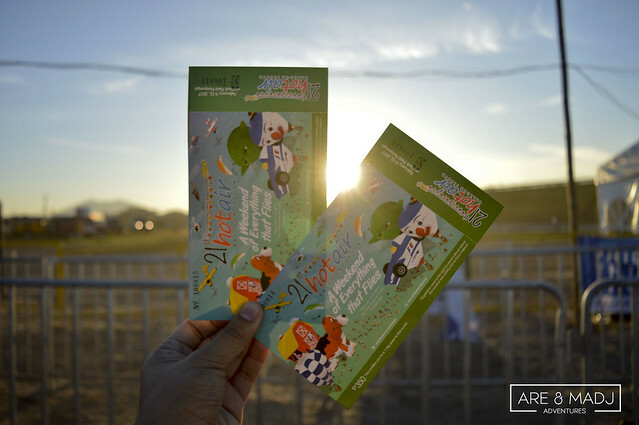 We bought general admission tickets which cost Php350 each. 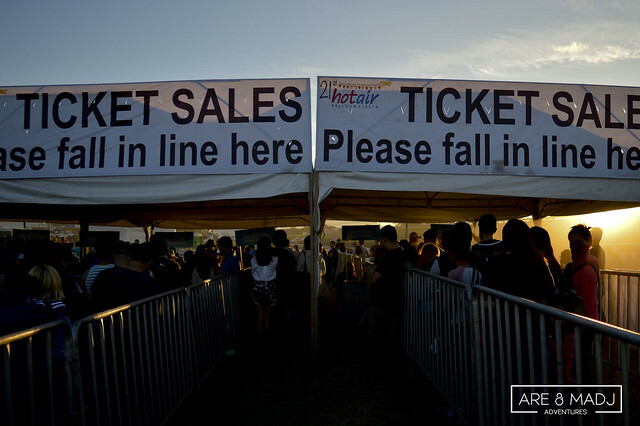 They also sell VIP passes, which cost Php6000. 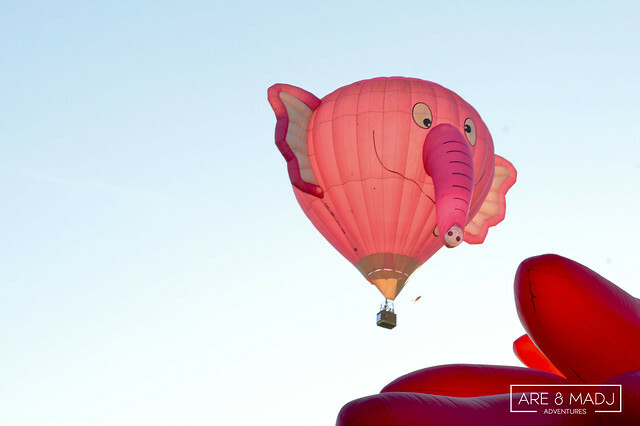 Having a VIP Pass Ticket you’ll have chance to stay inside the air-conditioned lounge and have a closer look of the Hot Air Balloons. It’s really too expensive for us and we think that, it wasn’t really a good deal. 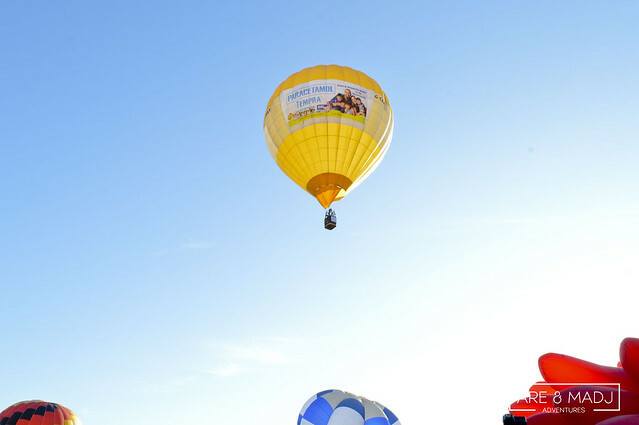 This has been my second time to participate the hot air balloon fiesta. I’ve seen it first when it was its 9th year. That was 12 years ago and I was 13 years old back then. If I remember it correctly, the general admission entrance fee at that time was only costs Pph40, which was a way far from this year’s entrance fee. Maybe because.. lahat tayo nagmamahal na? (We are all falling in love). I suddenly felt nostalgic. I remember that there were only few people who want to set their eyes on the Hot Air Balloon Fiesta back then and the place was never been this crowded. Well, I guess, generation today is more curious and interested in discovering and experiencing new things and places that they will not think about the cost it takes. As much as we want to try the flying activities, our budget is too tight. It’s too expensive for us. We know that there will come a time or someday, that we can experience these activities without worrying the expense. Finally, we set foot at the venue. We were surprised by the number of people, who’s already inside, readily waiting for the official start of the fiesta. We were thankful that we witnessed the official start of the event. 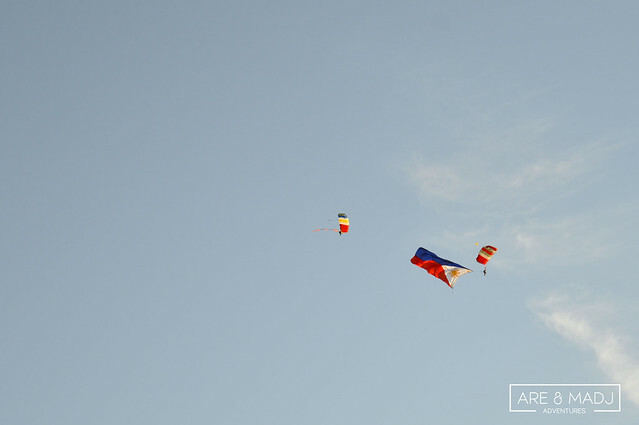 The Philippine Flag was flown and the Philippine National Anthem was played as the kickoff of this event. There were thousands of people in the Fly Fiesta. The sun rose magnificently. 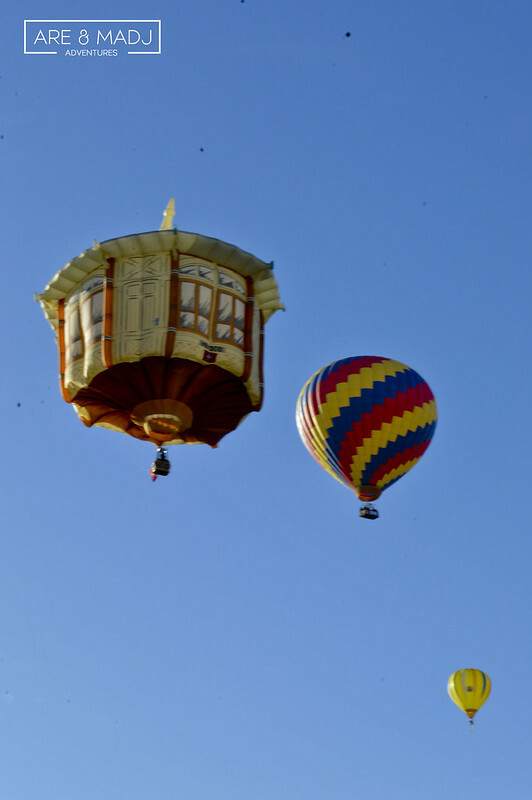 The highlight of the fiesta is the hot air balloon flights. 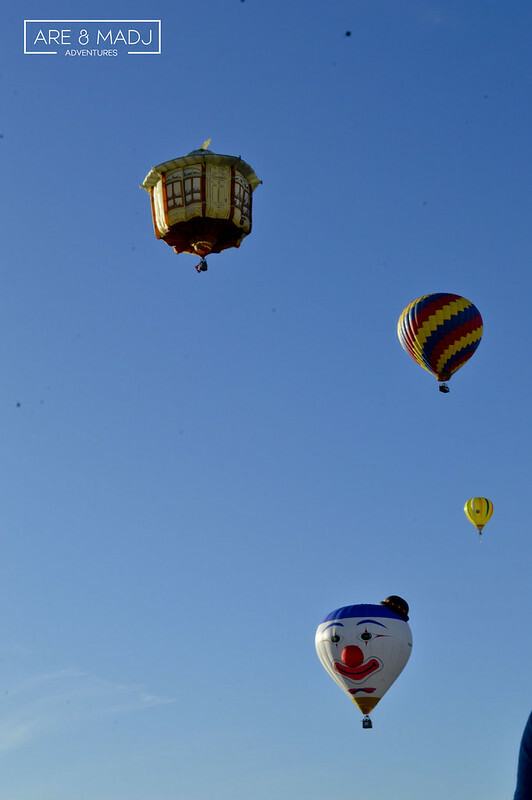 Some of the Hot Air Balloons were already taking off. For ten minutes, we were struggling to find the best spot, where we can get good shots of the Hot Air Balloons. We’re very glad that after a few more minutes we were five steps closer to the boundary. Yes! Thank God we finally made it. 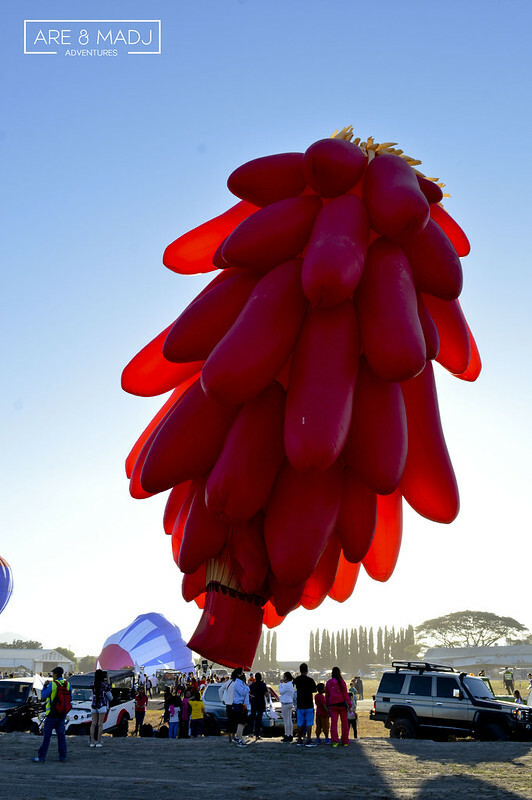 There were few more balloons left that were not yet fully inflated such as the Dog, Chili Pepper, Philippine Airlines, and other balloons that we can’t even distinguish their names. We were mesmerized seeing those up close and personal. It really drew smiles on our faces. We love the different designs and special shapes, including the Elephant, Coca-cola, Clowns, and even Yoda of the movie Star Wars. I was wondering where is Darth Vader? Elephant, Yoda of Star Wars, and Red Chili Pepper. We were wondering how many hours or minutes and how many persons it needs to make a single hot air balloon to be inflated. Since we were not allowed to get closer to the balloons and we can’t ask them directly. We searched for the answers. Watch the video below to learn more about the answer. Almost all of the hot air balloons have flown already. The crowd dispersed around the Fly Fiesta area immediately. 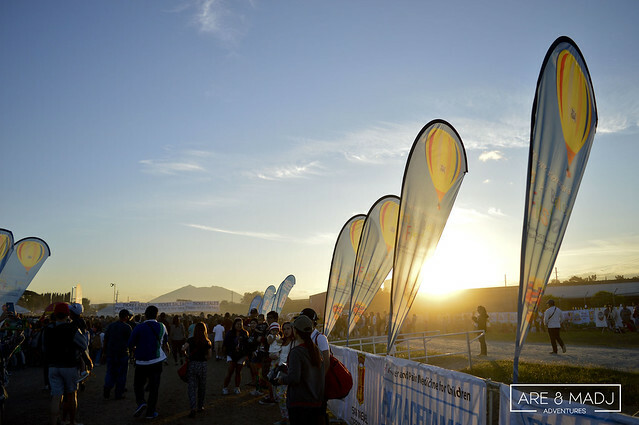 The sun comes up and we still have more time to explore and enjoy this fiesta. 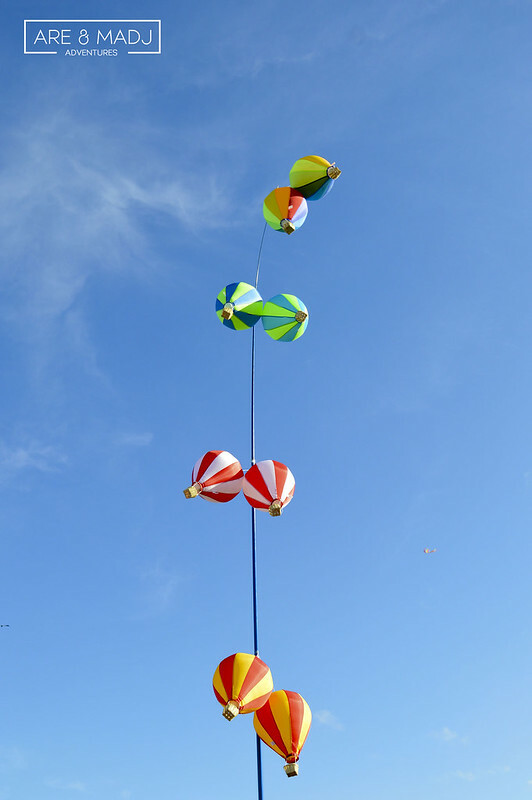 We’ve seen plenty of people buying kites at the Fly Market, which costs Php150 buy one take one. 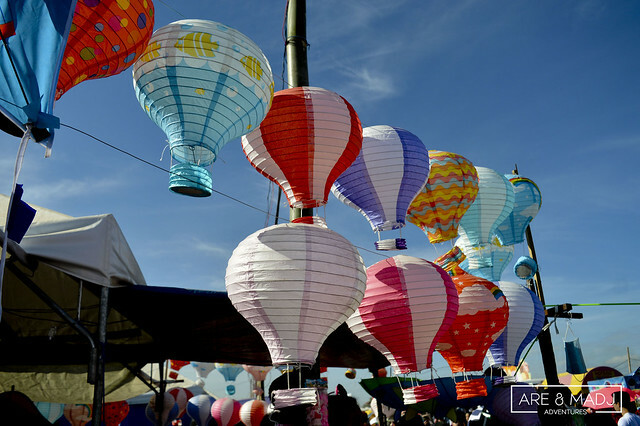 There were lots of hot air balloon souvenirs you can choose from like t-shirts, cups, and bags with printed on it, small hot air balloons were designed in different colors and different types. It was really tough to walk around the venue because of the dusts that we’ll get while the sun’s heat is kissing all over our body. Fortunately, there were lots of product stalls wherein they offer lots of freebies. Tip: The venue gets dusty. You must bring face masks or handkerchiefs. Wear light clothing, sturdy but comfortable shoes, hats and shades, and sunblock! 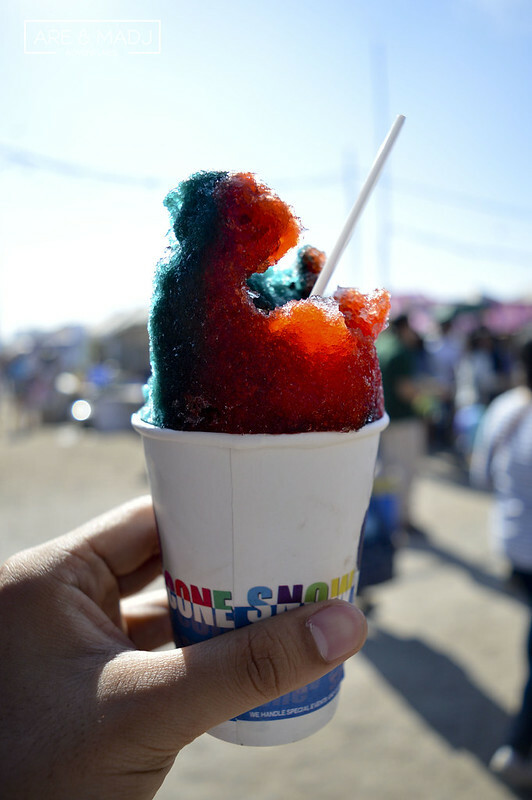 While we were exploring the place we bought one two-flavored iced Snow Cone. Strawberry and blueberry flavor that only costs Php60. Cool and Refreshing! 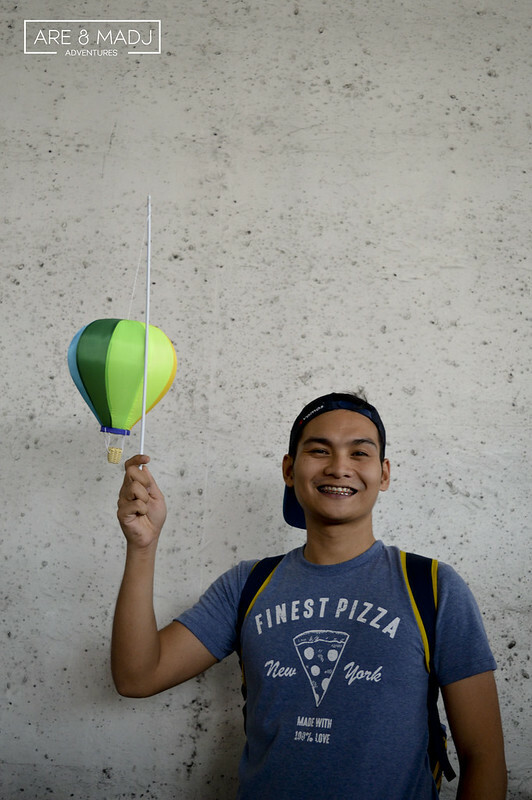 We also bought our one and only souvenir from this memorable event, a small hot air balloon. That’s it! This whole experience has been spectacular and incredibly fun. 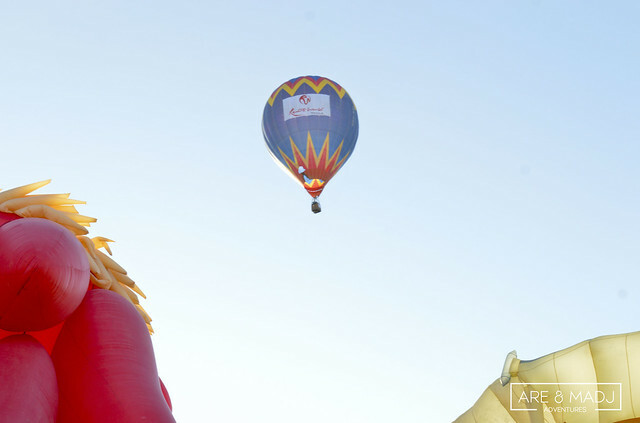 We really had a great time watching those flashy and colorful hot air balloons, aerial exhibitions and skydiving. 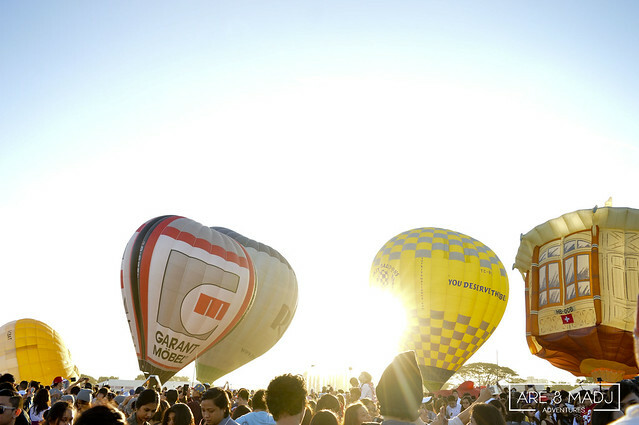 Hope we could still experience this event next year and we can try to fly on a Hot Air Balloon. 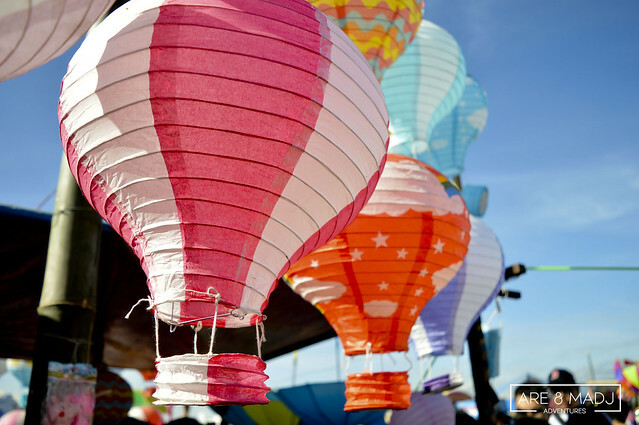 For now, we don’t know yet when but we will surely include “Fly on a Hot Air Balloon” on our bucket list. 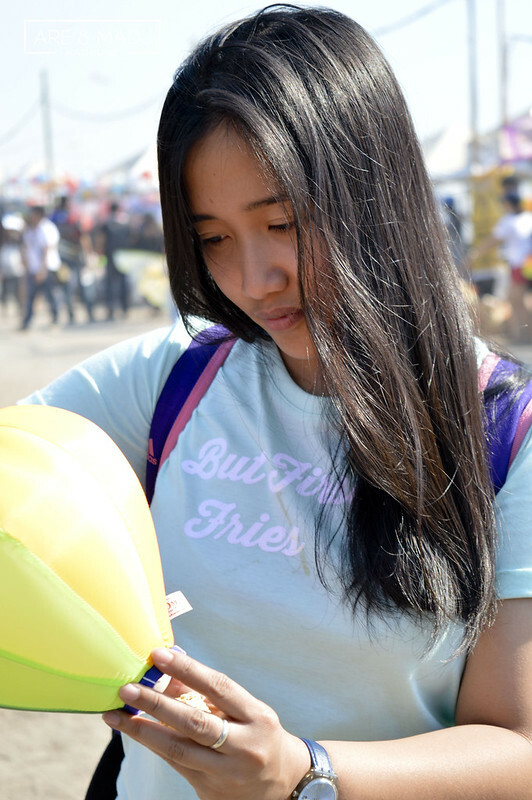 **Note: We will be posting another blog post of our foodventure in Angeles City. Stay tuned! For more information and inquiries, you can check out their website.